Christie OKs lead testing for school water but what about repairs? In the almost eight years Christie’s been New Jersey’s governor he’s done more harm than good. Probably why his popularity rating is about 12% – OK, wait, I just checked that statistic and it’s actually 18%. So now, Christie is desperately doing what he should have been doing all along – moving projects forward to help the people of the state he governs, including giving attention to lead in schools’ drinking water. But with his history of blatant lies, it’s hard to figure out what he actually intends to do, until he’s actually done it. Now Christie, destroyer of everything public education in the Garden State, is suddenly concerned with lead in the pipes of the same schools he refused to release repair funds for. Concerned about testing, that is. What are the chances that between now and the end of his term, the governor will actually give over the money schools need to get lead out of our public school students’ drinking water? 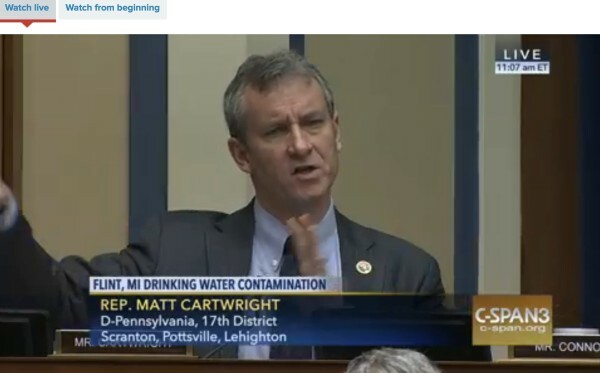 Flint decision makers no-shows at today’s Congressional hearings on Flint Water Crisis. Scary situation. The Congressional hearing on the Flint Water Crisis was live streamed this morning, 03 February 2016. Michigan Gov. Snyder and officials he appointed who made the decision for the City of Flint to stop receiving water from the Detroit Water Company and get it from the contaminated Flint River instead, have elected not to be present at the hearings. 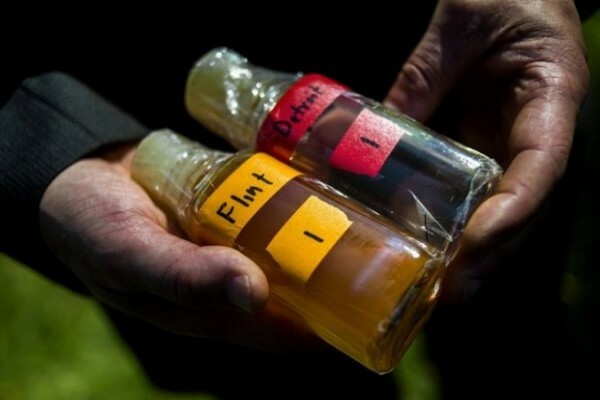 Detroit had been Flint’s supplier of clean, fresh water for over 50 years. After Snyder nullified Flint’s election and put former “Emergency City Manager” Darnell Early in place there, the decision was made during his term of service from 2013-2015, to change the city’s water source to the Flint River. The decision to not spend $9000 for three months of corrosion control treatment to seal the pipes carrying the water was made, even though this is an EPA requirement. Treatment would have prevented the river’s contamination from causing lead and other heavy metals to flake off from corroding pipes to enter the city’s potable water supply. LeeAnne Walters’ four children started getting sick around November of last year. Her 14-year-old, J.D., was in and out of the hospital, and her four-year-old twins, Garrett and Gavin, would get scaly, itchy rashes whenever they took a bath. “I could see the water line on Gavin’s stomach,” Walters says. In February, the pediatrician wrote a note to the city saying that Gavin, who has a compromised immune system, couldn’t consume the water. City officials came out to test the Walters’ tap that same month and found lead levels at 397 parts per billion. For reference, anything greater than 15 ppb—what the U.S. Environmental Protection Agency considers an acceptable level—can result in irreversible damage to a child’s brain. Mr. 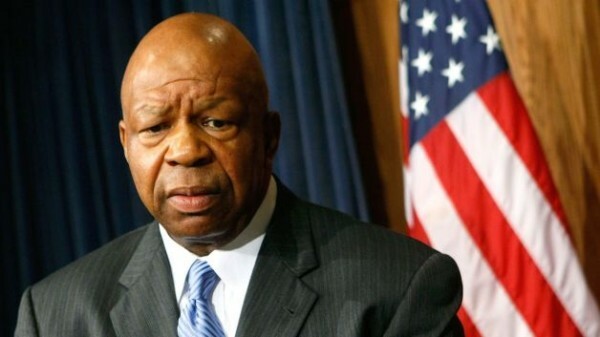 Early chose to evade service of the subpoena summoning him to the Congressional hearings and is also not present. On a side note, Early was appointed by Gov. Snyder to serve as Detroit Public Schools “Emergency Manager” at an annual salary of $221,000 after leaving Flint in Jan 2015 . But Early has announced that he will step down from that position on 29 Feb 2016. Cong. Stacey Plaskett of the US Virgin Islands, points out that Mr. Early received $181,000 for poisoning Flint’s children, and that this situation is an example of the powerful adverse health impacts that residents of environmental justice communities may experience. Several Congressmen have asked the EPA representative present at today’s hearing to explain why the EPA failed to notify Flint residents when the lead and copper rule failure was discovered a year before the issue became known to the public. While the Children in Flint Were Given Poisoned Water to Drink, General Motors Was Given a Special Hookup to the Clean Water. A few months after Governor Snyder removed Flint from the clean fresh water we had been drinking for decades, the brass from General Motors went to him and complained that the Flint River water was causing their car parts to corrode when being washed on the assembly line. The Governor was appalled to hear that GM property was being damaged, so he jumped through a number of hoops and quietly spent $440,000 to hook GM back up to the Lake Huron water, while keeping the rest of Flint on the Flint River water. Which means that while the children in Flint were drinking lead-filled water, there was one — and only one — address in Flint that got clean water: the GM factory. What you all have done has given us … a platform, the basic information … to go higher. I hope that the governor (Snyder) will understand that these are people who are suffering … About the water bills: If I’m being poisoned, can’t wash with the water, can’t drink the water and then I’m being asked to pay for the water, that doesn’t make any sense. (This is) about what happened – so you can correct it and so hopefully, it doesn’t happen again. Detroit went to great lengths to remain the water supplies of Flint Michigan, offering them reduction upon reduction. In the end, it would have cost Flint 20% less to remain with Detroit Water and Sewerage Department (DWSD) than it did to take the deal of Karegnondi Water Authority, which lead to the poisoning of the people of Detroit. The switch was made at the direction of an Emergency City Manager appointed by Gov. Rick Snyder. The offer by DWSD raises serious questions about whether Gov. Rick Snyder was lying when he insisted the water switch was motivated by saving money for Flint, which was under the control of a state emergency manager. “When compared over the 30 year horizon the DWSD proposal saves $800 million dollars or said differently – saves 20% over the KWA proposal,” then-DWSD Director Sue McCormick said in the e-mail dated April 15, 2013. Flint native and filmmaker Michael Moore has been on the ground for a couple of weeks, looking into what happened and what can be done to help the good people of the city. One of the most telling moments in this saga was when General Motors disconnected from the Flint River because the water was ruining its machinery, leaving some to wonder — if it was doing that to machines, what was it doing to humans? On the Dr Boyce Watkins show, Roosevelt Mitchell III and Vanessa Lynn discuss the horrific situation Flint is confronting and residents’ hopes that the federal government will step in with a solution to this crisis. 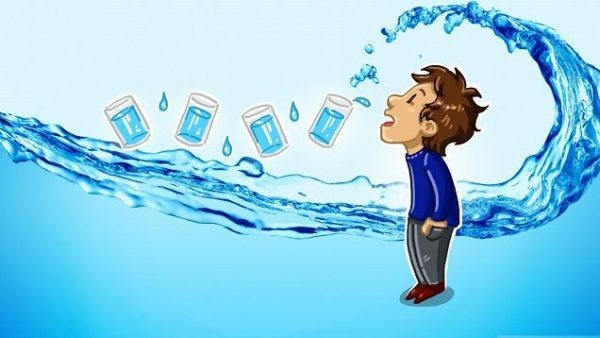 …the Genesee County health department declared a public health emergency, recommending that people not drink the water unless it has been filtered and tested to rule out elevated levels of lead. More steps will be announced Friday. County Commissioner Brenda Clack told residents that infants and children should not use the water coming from the taps in the city of Flint. “Individuals who have respiratory conditions should not use the water, pregnant women should not use the water – it’s imperative that they not use the water,” she urged. However, it is unclear what people were expected to drink and cook with. Early on, FEMA stepped in to provide some bottled water – but only a few thousand liters … General Motors and local non-profits donated to buy filters – but only for 5,000 residents. It remains unclear today how close the city government has come to fulfilling the promise made in October to provide filters for all homes and businesses, and when a source of clean water will be available again. The Flint Water Board allowed the switch to be made without requiring adequate testing to ensure that residents’ health would not be compromised. Added later in the day: Detroit Free Press reports that Gov. Snyder, in a move calculated to shift the blame away from himself, called for the resignation of Michigan Department of Environmental Quality Director Dan Wyant, which was tendered today. *In April 2015, the City of Detroit began shutting off the water for 40% of the city’s residents after giving 10 days’ advance notice.